Poker is one of the most misunderstood of all the casino games and I believe the movies are to be blamed the most for the misinformation presented. When you sit on a poker table to play and look around at your opponents, you can easily be intimidated as the table feels like a battleground. Some players like to wear disguises to mask their visible emotions using sunglasses, caps, headphones or scarves but this does not mean you cannot see right through the disguise. Here are the 5 types of poker players you need to know. As the name suggests, a newbie or ‘noob’ is the player with no or little knowledge of the game or has the rule book but refuses to actually learn and get more experience. Such a player often shows enthusiasm and intelligence but display of ignorance or lack of experience makes them naïve or annoying. That player who consistently calls bets yet rarely rises even when he has a strong hand is called a ‘fish’ or a ‘calling station’. Do not be this kind of player – the loud player who openly displays their lack of skill in the game but often seems convincingly good. Such a player often plays two matching cards and has excuses and complaints when kicked out of the game. Whereas the fish calls bets but doesn’t raise, the rock, also called ‘tight’ is the opposite – never a risk taker but only comes out to play a premium hand. This is a quiet player who can sit out of half the game to wait for a ‘magic hand’ but often blind themselves to oblivion. Such a player plays only Aces, Queens and Kings, at times AK but it is easy to know when they have something. 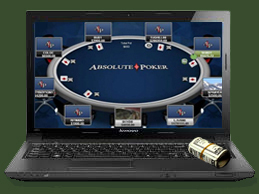 Mr. ABC poker is that player who plays the game by the book and does not apply any tricks or strategies to the game. Mr. ABC is often the boring guy who watches everyone’s move and makes unnecessary comments or corrections and most often may win because they rarely make mistakes. However, Mr. ABC’s game is very predictable and it is not a strategy that works today. The psycho, or maniac, is the poker player who follows no rules and often plays a cluttered disorganized game that could ruin everyone’s game. The psycho often has the most fun playing poker strategy and does not play for money, playing against this type of poker players could mean a guaranteed win but it takes patience to play against them.